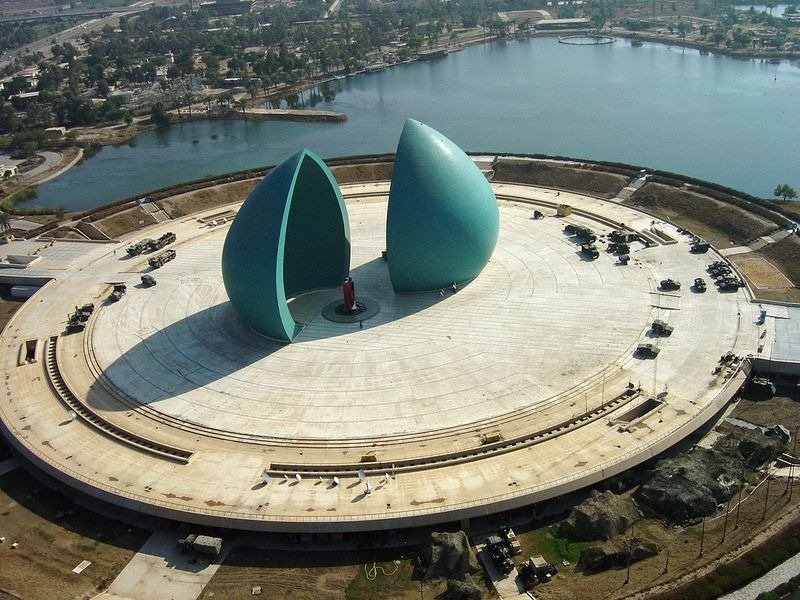 During the 1970s and 1980s, Saddam Hussein’s government spent a lot of oil money in building monuments around Baghdad. Two of these are quite majestic. One is the Monument to the Unknown Soldier, which we already wrote about. The other is the Al-Shaheed Monument. 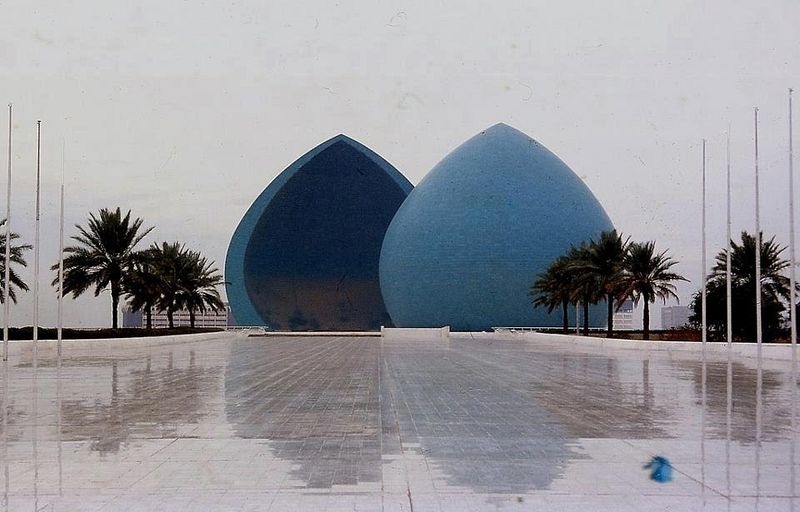 Al-Shaheed Monument was opened in 1983 dedicated to the Iraqi soldiers who died in the Iraq-Iran war that lasted for eight years starting from 1980. Designed by the Iraqi architect Saman Kamal and the Iraqi sculptor and artist Ismail Fatah Al Turk, the monument consist of an enormous turquoise-tiled dome, 40 meters tall. The dome is split down the middle and the two halves offset, with the walls of the dome sheltering an eternal flame in the middle. Inside one of the dome shells is a circular water pool that cascades its contents to the courtyard below. Underneath the monument is an underground level that houses a museum, a library, lecture hall, and exhibition gallery, among other things. The monument is located in the middle of a lake on an artificial island. 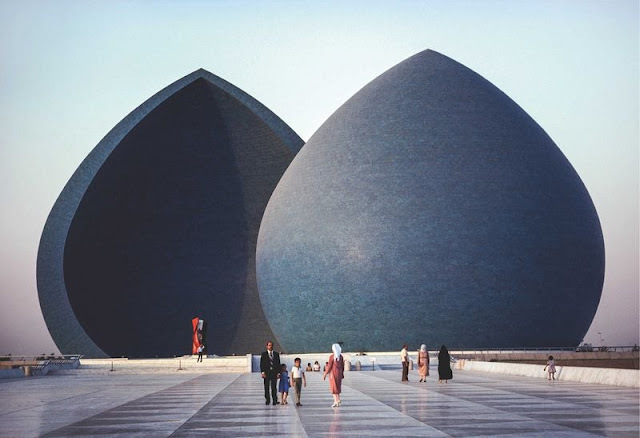 3 responses to "Al-Shaheed Monument, Baghdad"